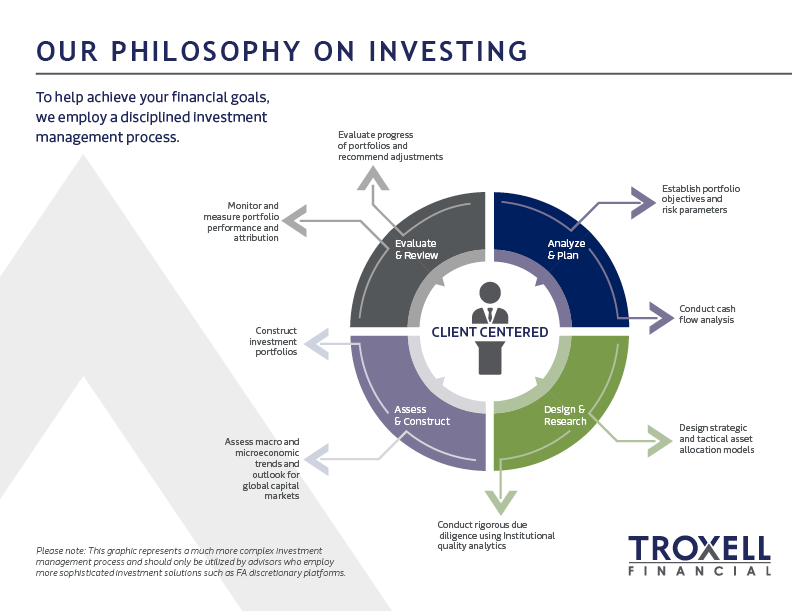 We believe the path to your successful portfolio development begins by simply asking questions. What is your overall investment goal? What is your risk tolerance? In other words, how comfortable are you with taking financial risk? How long is your investment time horizon? What are your cash flow needs? After getting to know you and these personal financial parameters, we can help guide you to the proper asset allocation. 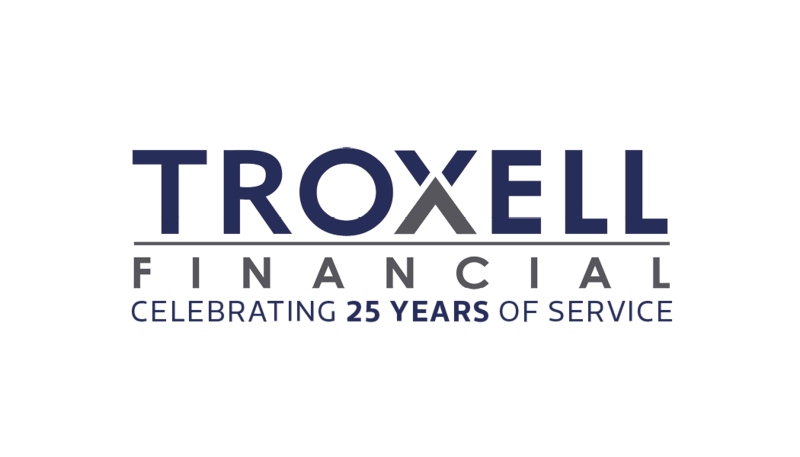 Troxell Financial stands behind the philosophy that strategic asset allocation – the process of diversifying an investment portfolio across different asset classes –is key to successful long-term portfolio performance. In other words, the decision of what percentage of assets are invested in various asset classes has far more impact on overall performance over time than the decision of which individual investments to buy. Different asset classes react differently to the same economic news. For example, events that move equity markets upward may send bond prices downward. We study the correlation of asset classes in order to appropriately diversify and potentially reduce portfolio risk. Our goal is to participate in positive investment trends while reducing volatility through investment climate changes. We continually monitor portfolio performance and changing market conditions in order to properly rebalance a portfolio. Strategic asset allocation should not be confused with market timing, a process of advocating frequent and total movement between various asset classes. We adhere to a fully invested discipline with consistent exposure to selected asset classes over a long period of time.